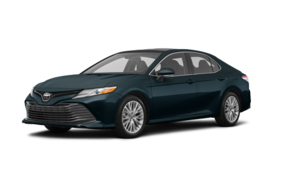 Lease the 2019 Toyota Camry LE starting from $90 weekly at 4.99% for up to 60 months with $0 down! 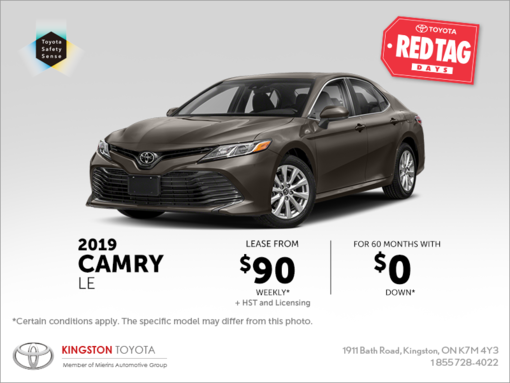 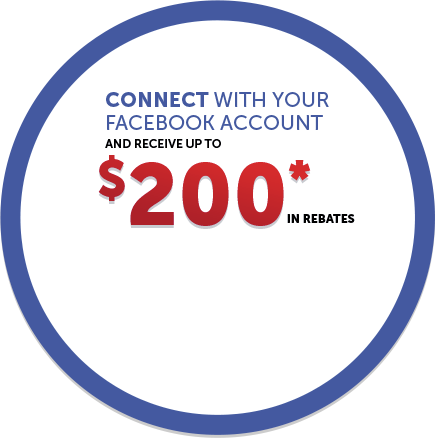 Act fast, this offer ends April 30th, 2019. 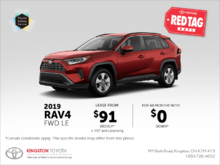 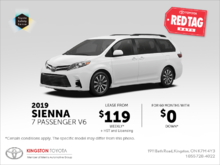 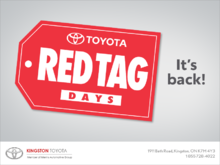 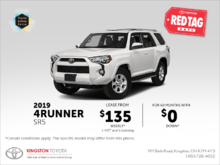 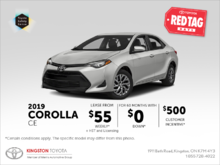 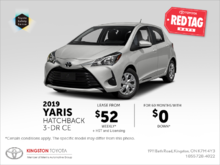 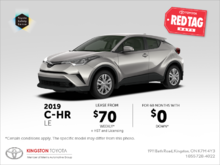 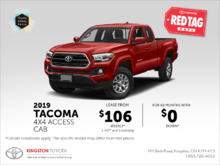 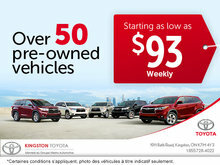 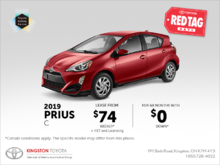 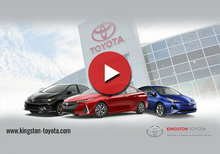 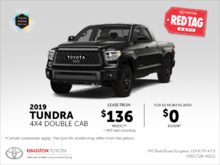 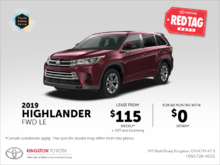 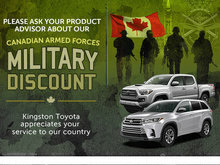 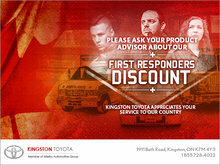 I wish to receive news and promotions emails from Kingston Toyota.